Safety service management and sustainability solutions are increasingly adopted by companies to tackle issues related to process safety, irrespective of the industry size, with the underlying fact that more regulations and compliances are directed by the governing authorities. Moreover, enforcement of various government standards for the safety of employees is compelling enterprises to train their employees for safe and healthy working conditions. This is ultimately resulting in escalating the market growth. 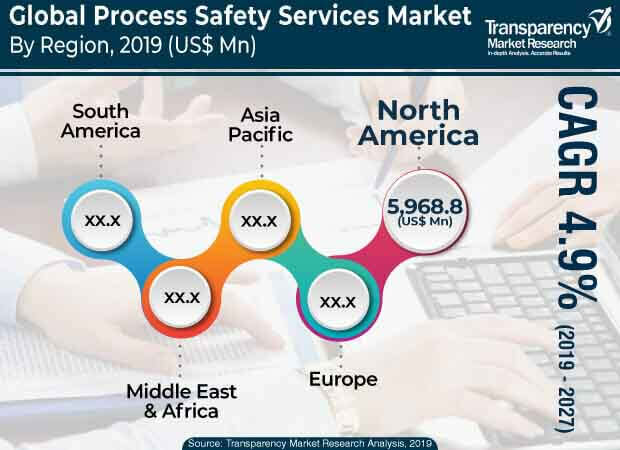 Therefore, increasing global awareness regarding employee and process safety is a crucial factor boosting the growth of the process safety services market across the world. Furthermore, growing safety demands in oil & gas, and chemical industry is also likely to fuel the growth of this market. As oil well locations become more environmentally sensitive and remote, it has become imperative to maintain strict contingency plans in case of an emergency shutdown. Hence, process safety systems are being adopted in the oil & gas industry to ensure safety of personnel and the environment. The global market for process safety services has been segmented on the basis of services, solution, industry, and geographic regions. In terms of services, the market is segmented into consulting, auditing, certification, and training. Based on solution, the market is segmented into compliance management, process hazard analysis (PHA), safety instrumented system (SIS), dust hazard analysis (DHA), risk management programs (RMP), facility siting, audits, incident investigation and response, mechanical integrity, PSM program implementation, and others (data analytics, special projects). In terms of industry, the market is segmented into automotive & discrete manufacturing, process manufacturing, government, utilities, retail, and construction & real estate. Automotive & discrete manufacturing segment is further divided into mechanical & plant engineering, aviation, and defense. Process manufacturing segment is segmented into metals, chemicals, pharmaceuticals, oil, gas & mining, pulp & paper, and consumer goods. Consumer goods segment is further sub-divided into food & beverage, personal care manufacturing, and others. Utility segment is segmented into electricity, water, gas, water disposal, and heat. Based on geography, the global process safety services market is bifurcated into North America, Asia Pacific, Europe, South America, and Middle East & Africa. Among these regions, North America accounts for the largest share in terms of revenue in the global process safety services market. This is primarily due to the initiatives taken by governments as well some privately owned organizations which are increasing the demand for process safety services in North America. However, Asia Pacific and Europe are also projected to contribute significant market share during the forecast period. The global process safety servicesmarket includes different players such as Honeywell Process Solutions, RRC International, ABB Ltd., Bureau Veritas S.A., HIMA Paul Hildebrandt GmbH + Co KG, Intertek Group PLC, SGS Group, Rockwell Automation, Inc., TUV SUD, SOCOTEC Certification International, DEKRA, Smith & Burgess Process Safety Consulting, Process Engineering Associates, LLC, ioKinetic, LLC., and Ingenero, Inc.